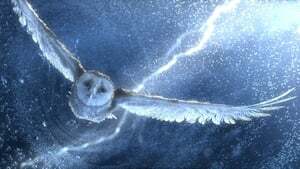 The Storyline of Legend of the Guardians 2010: Soren, a young barn owl, is kidnapped by owls of St. Aggie’s, ostensibly an orphanage, where owlets are brainwashed into becoming soldiers. He and his new friends escape to the island of Ga’Hoole, to assist its noble, wise owls who fight the army being created by the wicked rulers of St. Aggie’s. The film is based on the first three books in the series.